Vintage sewing patterns can be so much fun! A great way to add a vintage look and style to your wardrobe in just the right size, color and fabric for you.I have had a lot of fun bringing you this selection of patterns from many different eras - starting with about 1910 all the way to more modern times. 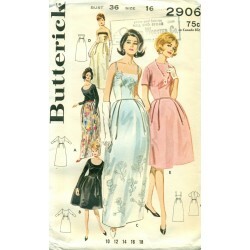 There is a nice smattering from all of the major manufacturers like Vogue, McCalls, Butterick and Simplicity. Let us not forget some of the older, no longer around manufacturers and mail order companies like Anne Adams, Hollywood and Kate Marchbanks.Patterns which are not uncut and still in factory folds, have all been checked and counted. Usually, one of a kind with only the occasional duplicate in stock. I am always adding new stock, so check back often. 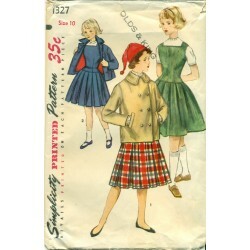 Sewing Patterns There are 398 products. 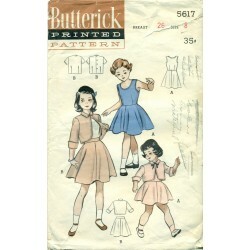 Butterick, Standard Designer, Pictorial Review are just some of the manufacturer's you will find on these vintage sewing patterns. Wanting to sew a dress from the 1910's Titanic or Edwardian era? A 1920's flapper dress perfect for a speak easy? You have come to the right place to find and buy a pattern to sew one!Besides dresses, I occasionally find a cute corset cover, shirt waist or blouse or something for the men. They are getting harder and harder to find, but I will offer them for sale here, so check back often.All patterns have been checked and counted. Usually, one of a kind with only the occasional duplicate in stock. Love the fashions of the 1930's to 1940's? Sleek and bias cut styles from the depression and/or square shouldered suits and dresses worn during the time of World War II. There is so much style and history from these two decades!With these vintage sewing patterns from Simplicity, Hollywood, Vogue, McCalls, Butterick and more, you will be able to sew something nice. 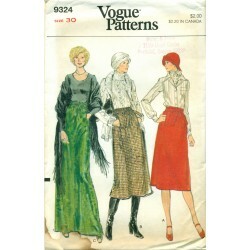 You will also find recent, modern reprints of some patterns which Butterick and Vogue have made. These will be clearly marked and easy to separate from the other patterns which are all original, vintage from the 1930's and 1940's.Occasionally, I find a pattern which is uncut and still in factory folds. All others are checked and counted. Usually, one of a kind with only the occasional duplicate in stock.I am always adding new stock, so check back often. Time of the "new look" in fashion - the 1950's! 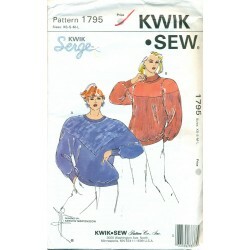 For, vintage sewing patterns, it is no different.Tight close fitting bodices. Full, flowing gathered skirts and dresses or slim, tight pencil skirts. Capri pants and pedal pushers. Small, bolero style jackets for just about every thing in a woman's wardrobe. Large swing style coats to keep you warm at night. Even some of the cutest things for little boys and girls. Just a few of the wonderful fashions you can sew with these patterns from this decade.If it is not uncut and still in factory folds, it has been checked and counted for completeness. Usually, one of a kind with only the occasional duplicate in stock.I am always adding new stock, so check back often. Wide legged pants, halter tops, pant suits, peasant blouses and dress, Jessica McClintock. 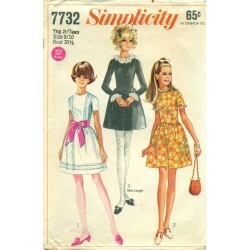 Just some of the different styles you will find in these vintage sewing patterns from the 1970's! Jeans, pants and denim really came out of the closet this decade.Disco, while short lived, also brought us lots of fashions with plenty of twirl, swing and you can really dance and move in. Not to mention the leisure suit and lots of polyester and knit fabrics. 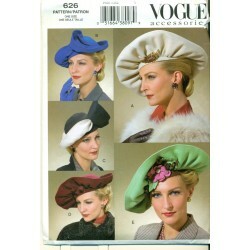 All of this can be seen in these sewing patterns. 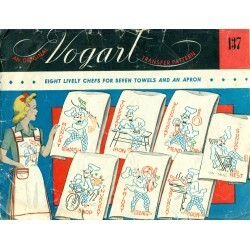 Have fun creating something for yourself when you buy a special pattern from the past.Authentic vintage. All patterns are checked and counted.I am always adding new stock, so check back often. Slim, pencil skirt sewing pattern - Simple to sew pattern too! Simplicity No. 3330 from the 1950s. Sew a skirt with large patch pockets and flap, just the flap or a plain, classic skirt. Below the knee length with kick pleat in the back for easier walking. 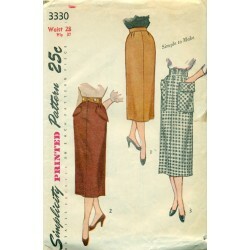 You can sew a great skirt with this vintage, Simplicity sewing pattern! 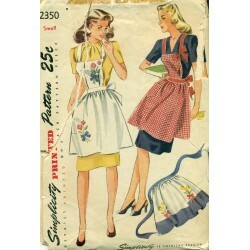 Apron sewing pattern from 1940s and Simplicity! 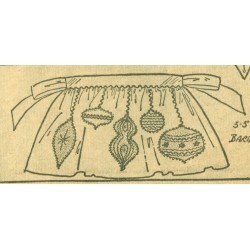 Bib and waist tie styles can be made from this pattern. Two styles of pockets can be sewn. Even has a nice floral applique which can be sewn or embroidered. This pattern is one of two which can be purchased to create a mother and daughter set. This pattern is for mom. 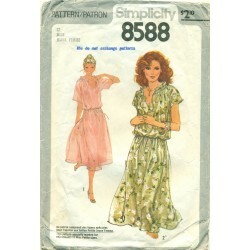 A nice vintage pattern from Simplicity! Full, gathered skirt dress sewing pattern. 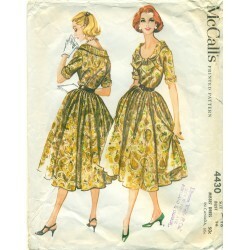 Vintage, 1950s McCalls No. 4430. Elegant rolled collar neckline with a bow in the front. Flattering, fitted bodice. The elbow length sleeves have cuffs. Just love the full, flowing skirt on this dress. 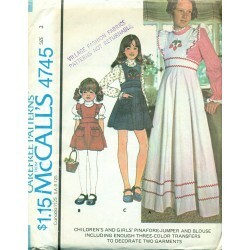 You can sew a wonderful dress for work, day or evening with this vintage McCalls pattern. 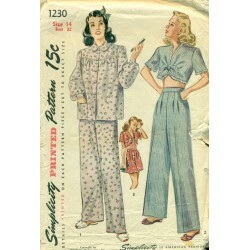 Make a great outfit or pair of pajamas with this Simplicity sewing pattern from the 1940s! Short or long pants. Long sleeved top or a short sleeved midriff top. Even pleats in the front and back to help with a flattering and comfortable fit. Skirt and blouse sewing pattern, Young junior teen (yjt) with a prairie look. The blouse has a sweetheart neckline and flattering princess seams. The skirt has a nice flare to it and large ruffle at the bottom. Sew a long, floor length maxi skirt or below the knee length skirt. 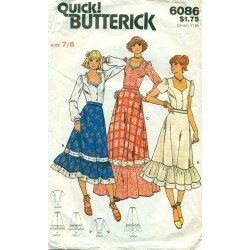 A Quick sewing pattern from Butterick and the 1970s! 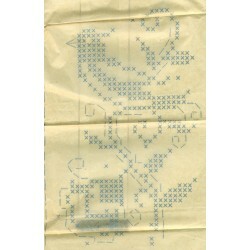 Great men's sewing pattern for a sport shirt! 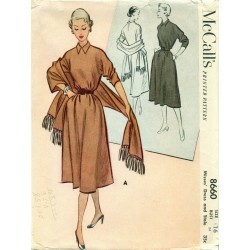 Vintage, 1950's McCall's pattern. Sew a long or short sleeved version. Easy to Sew pattern. Unique, pointed patch pocket on the front. Stand-up collar. 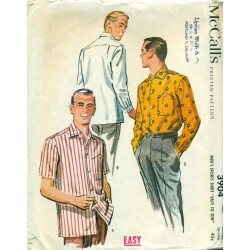 You could sew nice men's fashions for work or casual wear with this vintage sewing pattern from McCall's.